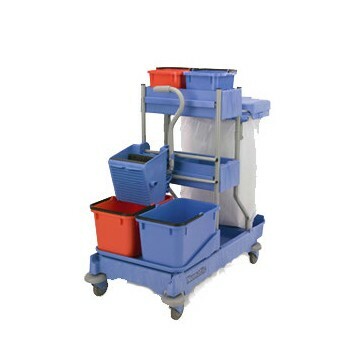 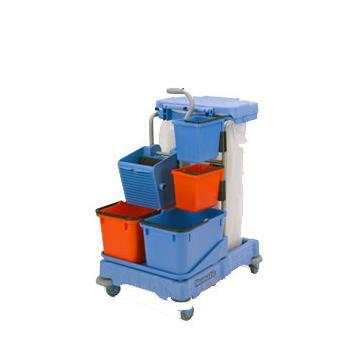 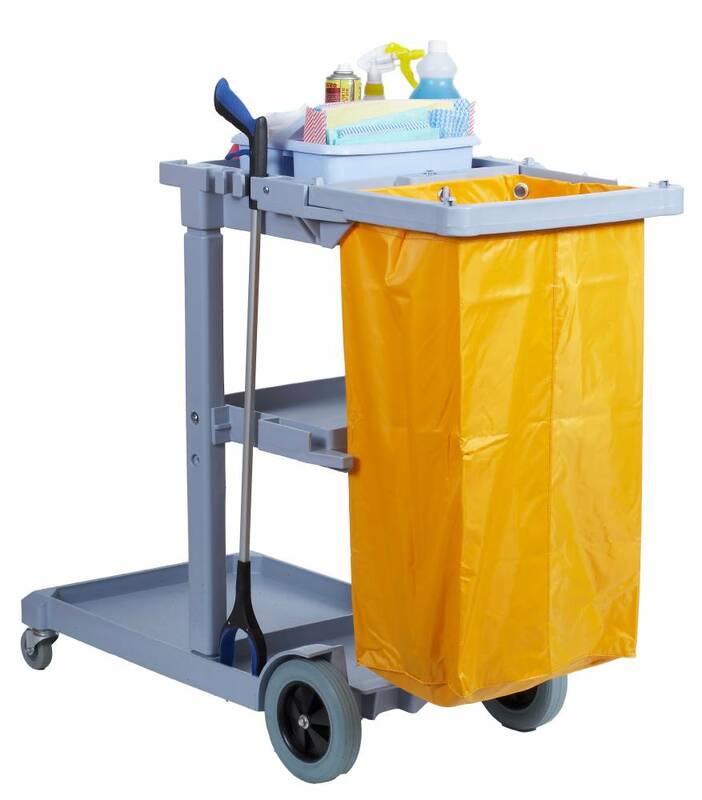 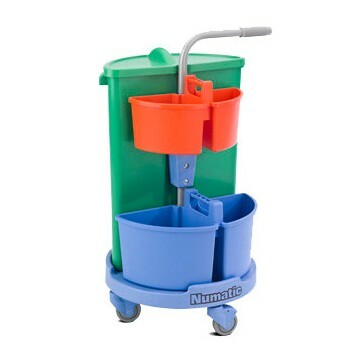 The Jolly Trolley has three levels of storage, along with a removable wash bag. 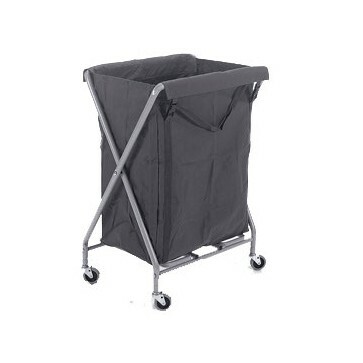 Space for a bison bucket and wringer, made from robust plastic. 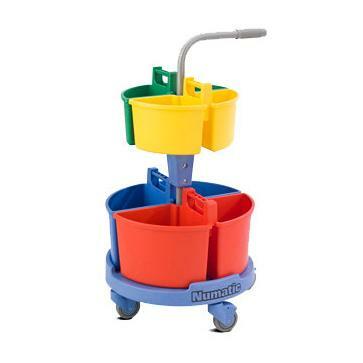 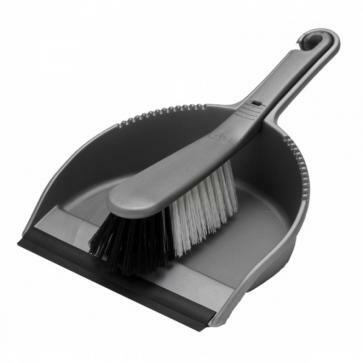 Includes clips for hanging brooms, wet floor sign etc.